Aziz Abu Sarah is a National Geographic Explorer and Cultural Educator, as well as a TED Fellow. He cofounded MEJDI Tours, a cultural exploration vehicle for an ever-changing travel market. He has been recognized by the UN World Tourism Organization, UN Alliance of Civilizations, and BMW Group for its innovations in travel and education. 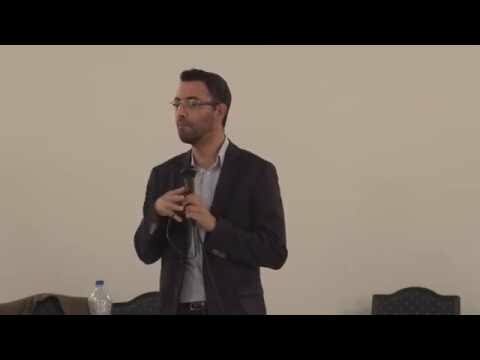 In the past, Aziz also served as the Executive Director of the Center for World Religions, Diplomacy, and Conflict Resolution at George Mason University (2009-2015), and was the chairman of the joint Israeli-Palestinian organization the Bereaved Families Forum (2006 to 2010). In the field, Aziz has pioneered and managed projects in conflict resolution and community relations in Afghanistan, Iran, Syria, Turkey, Jordan, Lebanon, Washington D.C, Colombia, and other sites. He is the co-founder of the “I Am Your Protector” interfaith campaign and the cofounder of Project Amal ou Salam, a grassroots relief organization for Syrian refugees in Turkey, Jordan, Syria, and Lebanon. In the media, Aziz has produced and hosted the National Geographic web series Conflict Zone, a series that explores the Israeli-Palestinian conflict from multiple perspectives. Aziz has also published articles in the New York Times, National Geographic Travel, Haaretz, Alarabiya and others. 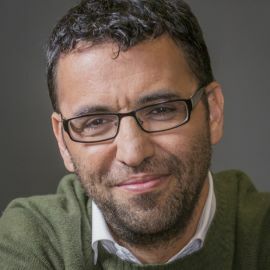 Aziz has been honored to receive numerous awards, including the Goldberg Prize for Peace in the Middle East from the Institute of International Education, the Silver Rose Award from the European Parliament, the Eisenhower Medallion from People to People International, and the Eliav-Sartawi Award for Middle Eastern Journalism from Search for Common Ground. United Nations Secretary-General Ban Ki-moon recognized Aziz Abu Sarah’s work during his speech at the 5th Global Forum of the UN Alliance of Civilizations in February 2013, and the UNAOC and BMW Group awarded him the intercultural innovation award in 2011. and Aziz has been named one of the “500 Most Influential Muslims” by the Royal Islamic Strategic Studies Centre for six years running. Conflict 101: Driven by Economics, Politics, or Ideology?